For years, Glenn “Big Dog” Robinson was known for his dominant presence on the court. His silky smooth jumper made him a headache for opposing teams and his hard-nosed style of played inspired a shoe just as aggressive: The Rail. Glenn Robinson and The Rail, Razor Sharp Since 1996. 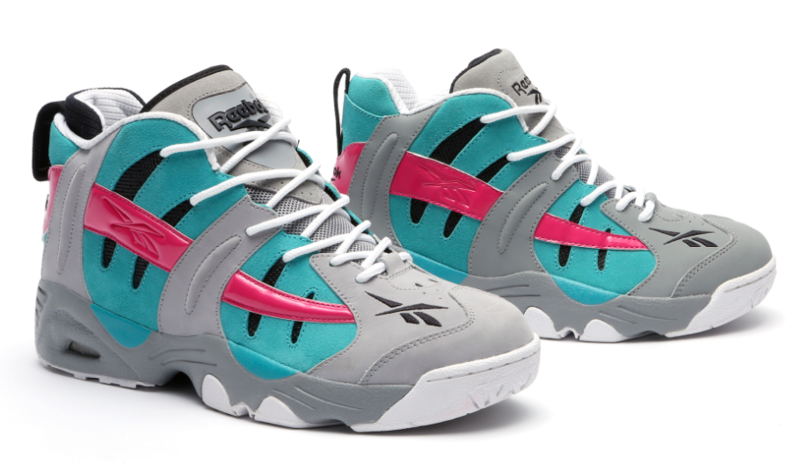 Limited pairs of The Rail blue/pink/grey will hit stores on Friday, April 25th in adult and extended grade school sizing. Pairs of the adult San Antonio inspired colorway will be available at key retailers Finish Line, Champs, Jimmy Jazz, DTLR, Villa, Reebok.com for $100 and grade school pairs will be available at key retailers Finish Line, Champs, Eastbay, Shoe City for $85. Print article This entry was posted by Art Eddy III on April 17, 2014 at 12:21 pm, and is filed under Lifestyle. Follow any responses to this post through RSS 2.0. Both comments and pings are currently closed.